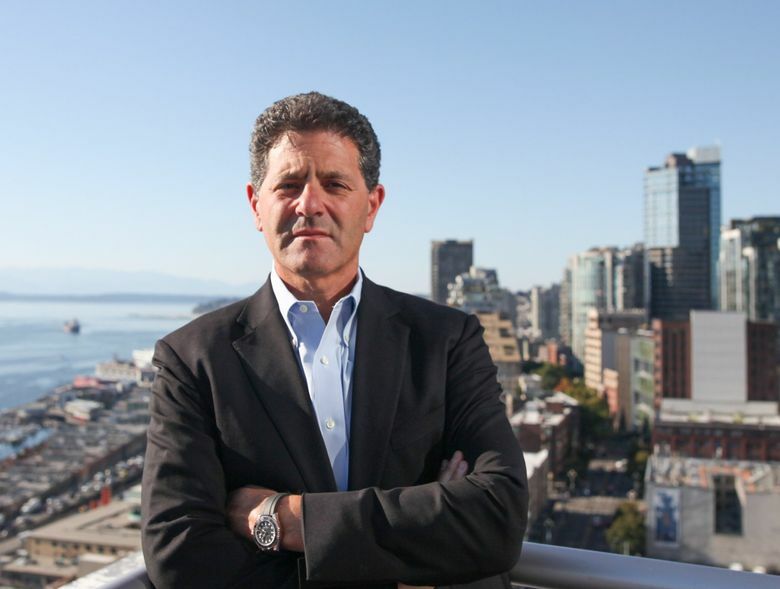 Nick Hanauer, who inherited money and then made an even bigger fortune by investing early in Amazon, is on a mission to redefine capitalism to benefit the middle class. Everything you learned in school about economics is wrong. The belief that when wages rise, jobs fall? “A lie,” Nick Hanauer said the other day. “As ridiculous as claiming that when plants grow, animals shrink. It’s not the way the system works. You listen to Hanauer because he doesn’t have any economic worries; he is part of the one percent who — one would surmise — knows something about how money works. A member of the Seattle family that made a fortune in bedding with the Pacific Coast Feather Company, Hanauer was the first non-Bezos investor in Amazon. He has started 37 companies, including aQuantive, a digital-advertising company that was purchased by Microsoft in 2007 for $6.4 billion. That comfortable perch has allowed him a clear view of the American economy. And he’s worried. So Hanauer, 59, has set his sights on helping the middle class see its own opportunities — starting with relearning how the economy works. (The name came from Hanauer’s belief that “if we don’t do something about rising inequality, the pitchforks are coming”). With “Pitchfork Economics,” Hanauer is seeking to teach citizens how the economy truly works, and what they can do to have a bigger role in it. Challenging these ideas, he said, gives people “permission and the courage and the confidence” to advocate policy changes that will benefit them in material ways. Take the long-held belief that raising wages means jobs will be lost. In reality, a $15 minimum wage is good for everyone, he said — both workers and corporations. Hanauer shares the mic with members of the Civic Ventures staff, as well as economic scholars such as Eric Beinhocker of The Institute for New Economic Thinking at Oxford University and former U.S. Secretary of Labor (under President Bill Clinton) Robert Reich, who is also an author, professor and political commentator. “It’s indescribably fun,” Hanauer said. “I really do feel strongly that our nation is going to hell in a handbasket, mostly because the rich are getting richer and everyone else is getting screwed. And the only way to get the nation back on track is to build an economy that will make every citizen feel like they are benefiting from it and included in it. The people he admired — Gandhi, Martin Luther King — had made a difference in the world. So Hanauer decided to dedicate no more than one-third of his time increasing his net worth, and the other two-thirds to “the life of the mind” and public service. “I have stayed true to that commitment,” he said. “The life of the mind and public service has merged” with Civic Ventures. When he’s not working at Civic Ventures or tending to his businesses, he finds the time to fly-fish at his Montana ranch. He has a weakness for fishing gears and seemingly mind-numbing, nonfiction books like “Out of the Wreckage: A New Politics for an Age of Crisis” by George Monbiot. Hanauer’s passions are wide and deep. And now, with the podcast, they have a new outlet. “In this work, the better I do, the more money I lose,” Hanauer said. “So it’s definitely the opposite of my commercial experiences.